“When your cat grooms himself, tiny hook-like structures on his tongue catch loose and dead hair, which is then swallowed. The majority of this hair passes all the way through the digestive tract with no problems. But if some hair stays in the stomach, it can form a hairball. Usually, your cat will vomit the hairball to get rid of it," according to WebMD Pets. You'll also want to know that despite their name, they're rarely in a "ball" shape -- at least not when they're in the middle of your floor. According to Cornell Feline Health Center, "Despite the term, disgorged hairballs are not usually round. They are often slender and cylindrical, shaped more like a cigar or sausage than a ball. According to Richard Goldstein, DVM, an associate professor of small animal medicine at Cornell University’s College of Veterinary Medicine, a spit-up hairball’s elongated shape is imparted by the narrow food tube (esophagus) in which it develops or through which it passes on its journey from the cat’s stomach to the outside world. However, he notes, a hairball that is not disgorged and remains in the stomach will indeed be round — 'like a sponge or a rolled-up sock,' he says." Commit to regular brushing. "Less loose hair means fewer hairballs. He might even grow to find this good bonding time with you. Occasional trips to the groomer (especially for long-haired cats) is another option." A groomer has special tools to remove loose hair, plus, she'll know those extra tips and tricks to reduce the potential of hairballs. Another option is a diet change; just be sure to check with us before you switch your cat's food. "Some varieties of cat food contain ingredients that focus on improving skin and coat health to help reduce shedding and often add fiber to stimulate cleansing of the bowels." Pay attention to your cat's water intake. 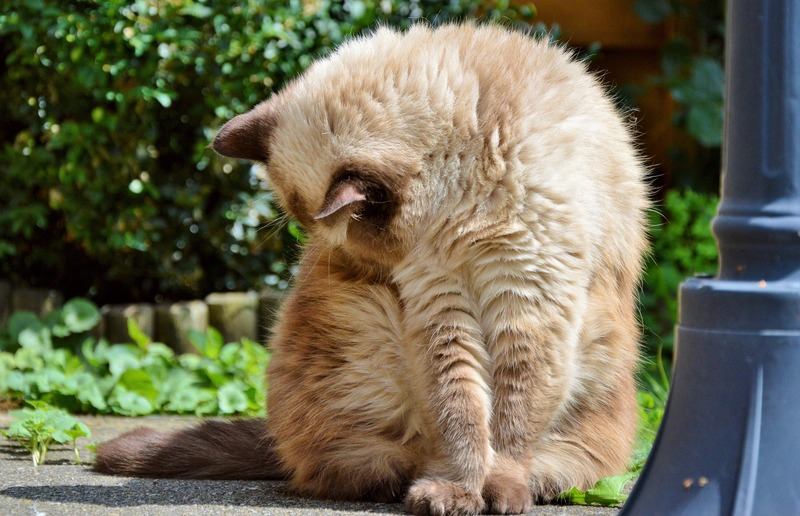 "More water won’t cure hairballs, but it’s essential to keeping your cat’s digestive tract running in top shape, so make sure he’s getting enough." Finally, encourage play as another way for him to spend his time. "New toys can help distract him from excessive grooming—and get him more stimulation and exercise. Exercise aids his general health, which may help his system work a little smoother, too," according to CatTime.com. Time to talk to your veterinarian about hairballs? Click here to request an appointment, or call your hospital directly.